How Orcadian technological innovations over the last decades – a smart grid, micro-turbines, hydrogen fuel, marine power etc – are leading the way for low-carbon expertise while generating surplus energy. A comparative study of the nationalist and separatist movements in contemporary Catalonia and Scotland, by the distinguished historian of Spain and Europe. A riveting biography of the Scottish economist John Law who became Controller General of Finance in France during the minority of Louis XV. He was also the richest private citizen in Europe with ideas astonishingly ahead of his time, including a preference for paper money and central banking. His ship turned turtle when the Mississippi Company bubble burst; thereafter he lived from gambling and died a poor man in Venice. A riveting, closely researched account by the pre-eminent author on Scottish history. What happened appears to have been far more complex than the politically motivated account that has prevailed since the 1960s. An oft-told tale, but this is a compelling account of the two queens – cousins and confidantes – in a man’s world. A new Detective John Rebus novel. Coinciding with the opening of the V&A Museum of Design in Dundee, this is the first major survey of Scottish design history from 1500 to the present day. 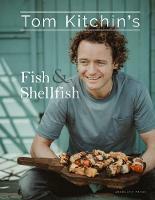 TK got a Michelin star aged only 29. His mix of French techniques with Scottish ingredients is a fine culinary riff on the ‘Auld Alliance’.